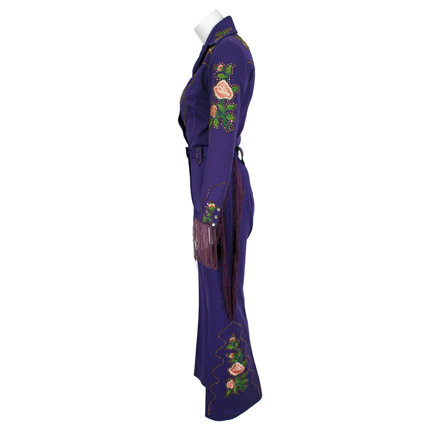 This vintage Nudie’s Western suit was worn by singer Taylor Swift in the 2010 Target ad campaign for the release of her “Speak Now” record. 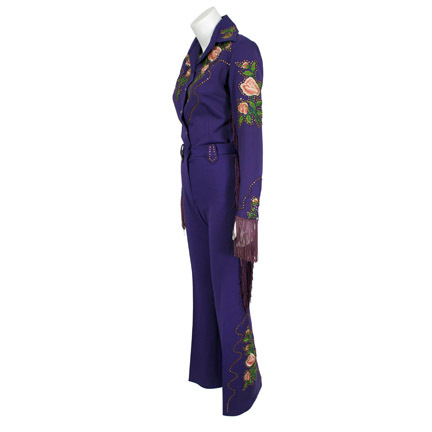 The shirt and matching pants were custom made by the legendary Hollywood tailor “Nudie’s”, and is constructed of purple fabric with embroidered flower designs and rhinestone details and has fringe on the sleeves and legs. Ms. Swift wore this outfit prominently during part of the 2010 television commercial for the exclusive Deluxe Edition release of her album “Speak Now” only available through Target stores. 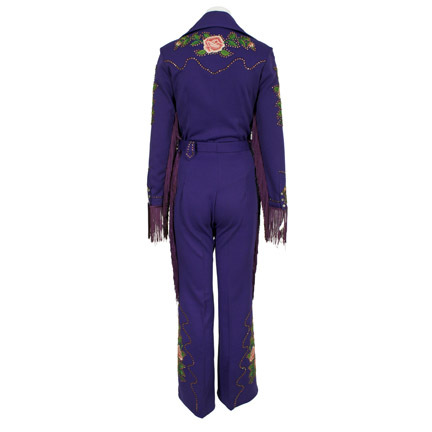 In the ad, Swift recounts her early musical beginnings and can be seen wearing this jumpsuit while playing an acoustic guitar during the sequence when she describes her youthful fantasies of becoming a famous Country Western singer. 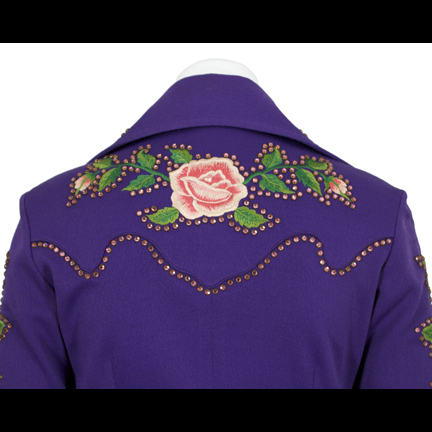 “Nudie’s” provided signature Western wardrobe throughout the years to such high profile entertainers and celebrities as Elvis Presley, Hank Williams, Roy Rogers, Robert Redford, Ronald Reagan, and countless others. 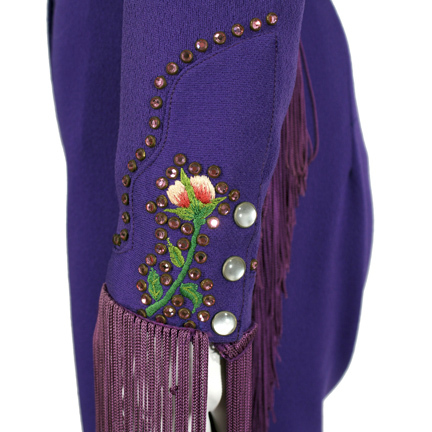 Nudie Cohn’s distinctive designs remain highly sought after by Country Western and show business collectors and have only increased in value since the company finally closed its doors in 1994. 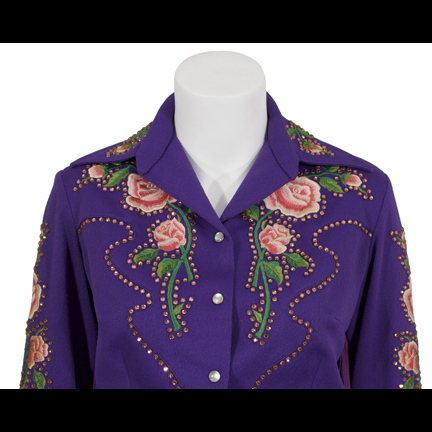 A custom made Nudie’s shirt worn by Roy Rogers was sold for $16,250 at a Christie’s auction in 2009. 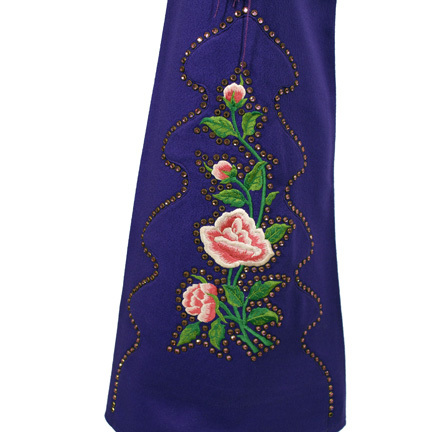 The garments are in excellent screen worn condition and is accompanied by a letter of authenticity. Presented by The Golden Closet, your premier source for iconic wardrobe, props, and collectible music entertainment memorabilia.